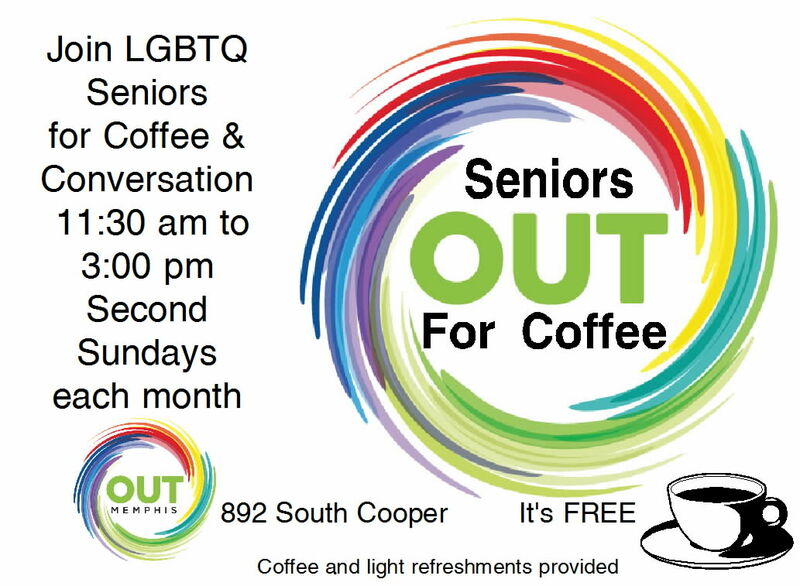 Join OUTMemphis and the Senior Services Committee for Seniors OUT for Coffee at OUTMemphis on Sunday, July 8th from 11:30a-3:00p. Coffee and light refreshments will be available. Come make some new friends and learn more about how you can get more involved at OUTMemphis: The LGBTQ Center for the Mid-South. To RSVP: Check in on the Seniors OUT for Coffee Facebook event and let us know you are coming! For questions, contact the Senior Services committee here.